Too long have graduates of Ivy League universities scoured the teeming and unremarkable hordes of unwashed mental midgets wishing only that one of their own would emerge to share a life of affluence and power with them. Some had grown hopelessly desperate, even deigning to converse with the lowly former attendees of -- one shudders to think -- state universities, for the sake of settling on a mate. But really, they could not actually love these meager mediocrities -- not knowing where they had gone to school. No longer, sons and daughters of privilege! 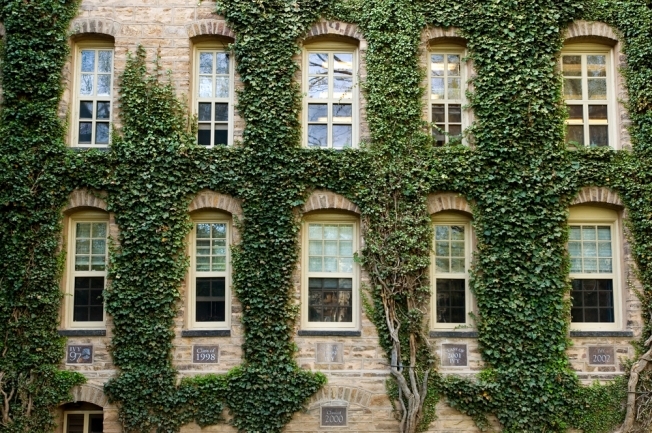 The Ivy League Plus Society has arrived. The online social gathering service is custom-designed to cull worthwhile people from the nearly unbroken sea of inadequacy that is the real world. TIPS, as it's known, is already apparently thriving in New York City, L.A. and San Francisco. Now there is an outpost in the Ivy-heavy hub of Washington, D.C. Requirements for membership in TIPS are strict. Attendees must have attended one of the eight Ivy League schools or a handful of other TIPS-approved institutions. The University of Chicago and the Naval Academy qualify for the list. Wait, there are actually non-Ivy students allowed in this thing? Oh, that will not sit well with the pure of Ivy-ness. TIPS' first D.C. event was held this past Friday at Lux Lounge. And while the organizers say that the site is not billed as a matchmaking service, about 80 percent of its members are single. Which isn't to say they are necessarily great catches. “There aren’t that many good-looking women,” said Drew. “I was going to say the same about the men,” interjected Emily. Both agreed that the event’s “Ivy” qualification “definitely” contributed to to the general ambience and makeup of the crowd. Uh no! The Ivies are full of ugmos! I suppose concessions are to be made to ensure your spouse is a fellow member of the ruling class.